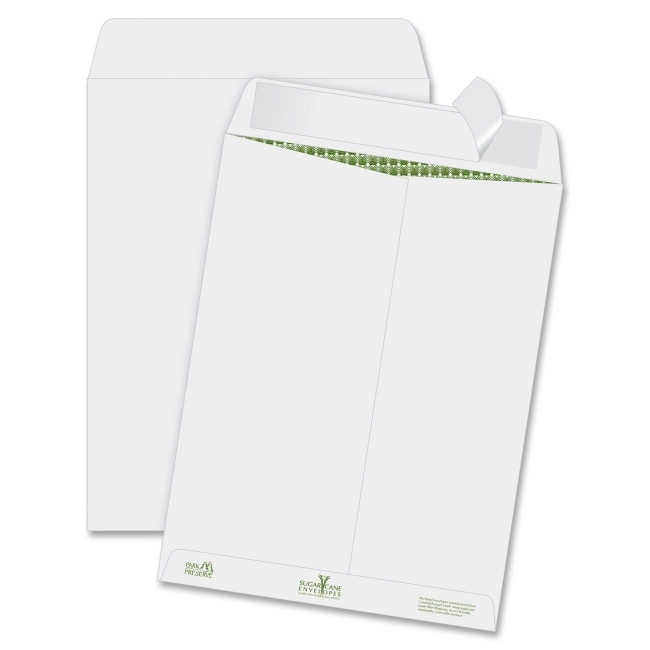 Quality Park Bagasse Privacy Catalog Envelopes - Catalog - 9\" x 12\"
Bio-based, catalog envelopes feature Canefields paper made using sugarcane waste fiber (Bagasse), an eco-friendly, sustainable, renewable resource. Inside tint pattern protects your privacy and contents. 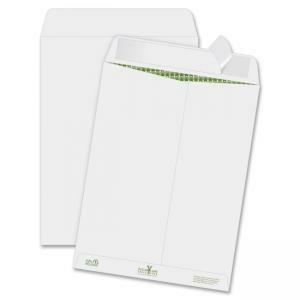 Convenient Redi-Strip closure requires no moisture to seal. Simply peel and stick.